If “The Godfather” movie made you read the books and understand characters better than you already know that every bit of business is personal as hell. Surely, you don’t have to be a Sicilian mafia boss to succeed in this crazy world of ours, but you can try to be different. Uniqueness marathon isn’t an easy run, but it’s definitely worth competing! The great battle of the big brands never stops and your company needs to step in. Did you know that one simple domain extension can speak loudly as a branding vehicle? In a world full of others (other people, other brands, other businesses), why not go with .ME? A few weeks ago, I explained how to make your personal brand unique using .ME extension. I’ve also mentioned that we, as humans, can be self-centered sometimes. The thing is, both people and companies must act selflessly from time to time. There lies an advantage, ‘cause .ME can actually be all about someone or something else. About your customers, for example. Creating business brand forces you to carefully think through the main purpose of your business. What will you offer, what do you want to accomplish, what your business will be known for, who your ideal customer is… Answering all these questions will help you choose a brandable name. Crafting meaningful words for your company’s domain name is a hard work. But even harder is to find a name which will express willingness to cater to the needs of your customers. Luckily, .ME is here to help making a MEmorable name which stands for your business, your customers and, of course, yourself. Way back in 2015, PayPal made a huge leap in personalizing customer service and putting the consumer at the center of the brand. They introduced probably the simplest and friendliest way for you to get paid via PayPal. Of course, it is PayPal.Me! The main idea was to create a mobile-first user experience that makes doing so simpler and faster than with the company’s traditional tools. And they made it happen! Wanna know the secret recipe? Put an emphasis on personalization, create a personal link, and spice it up with a perfect name-extension combination (like PayPal.Me), which could easily become a catchphrase! 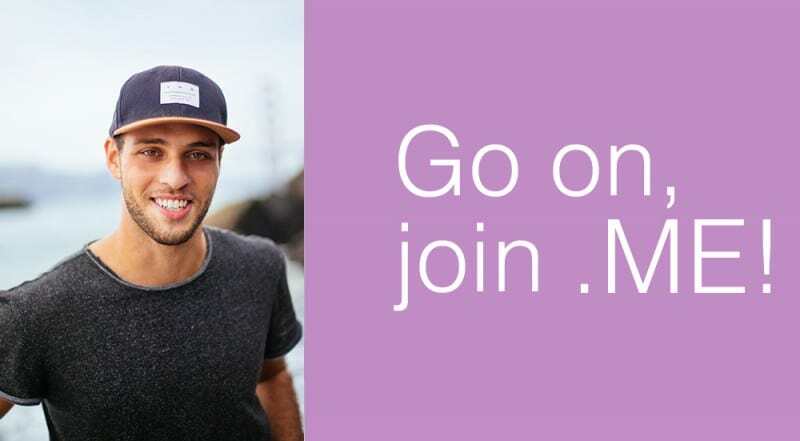 Have you heard about FB.me and M.me? Facebook also put its trust in .ME, using FB.me as the Facebook shortener on mobile interface, which automatically shortens a mobile link (for example a m.facebook.com link) to FB.me link. With M.ME Messenger Links, aimed at businesses, users can create a short and memorable link (m.me/username) that, when clicked on or typed in, opens a conversation with that business in Messenger. Yes, it’s that simple! 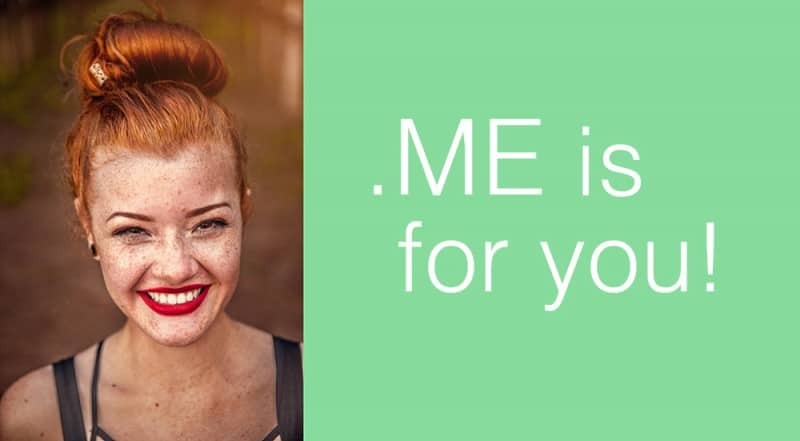 But PayPal and Facebook aren’t the only companies using a .ME domain to cater to the needs of their customers. Do you know that Spotify is the biggest music streaming service on the planet and has more than 50 million paying subscribers? Can you imagine a service that gathers all the big data it has on you in a funky-looking interface that shows exactly what you’re listening to, and a whole range of other habits you have when using the app? Check out Spotify.ME, which is made just for you, to showcase your streaming habits in an appealing way! So, as you can see, .ME is about YOU. Your business website will look differently, depending on what do you want. It can be static and just provide more information about your product and/or services. You can also start a blog and write posts with a topic related to your business and relevant to the potential customers. Or maybe you want to sell product and services directly online? There are few hundred words ending with .ME, so if you’re fearso.me or handso.me, do something extreme or take it easy, sip some coffee and string some rhy.me! And your blog might want a little makeover, whispering Themify.me. Think of all the things you can do with .ME, to .ME, for .ME, the list of things topics circling around .ME is virtually endless. If you have no need to get personal, you may want to choose one of the options above. I have to disappoint you, the domain aweso.me is already taken (and not by Barney Stinson), and it invites you to create a video. A business brand is built around an identity you create for your business. Quite a lot of brands jumped on the opportunity to use .ME as it so fortuitously responds to their brand names. The internet informs me that there are few hundred words ending with .ME, so if you’re fearso.me or handso.me, do something extreme or take it easy, sip some coffee and string some rhy.me. Do not be despicable, but check out great despicable.me (trailer & movie) website. There are available funny .ME domains still waiting for YOU! 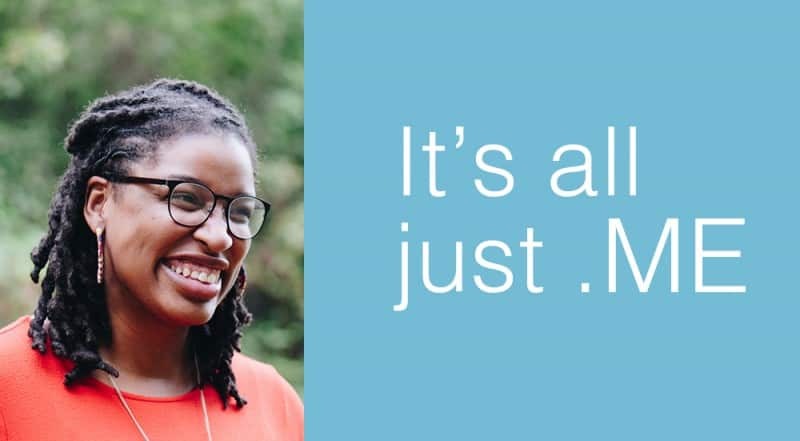 Not only that .ME is the most personal domain – it can also be selfless, enticing, funny, and everything else you want it to be! Rest assured – you’re in good company with .ME. Just take a look at some of the success stories we’re really proud of (on our blog)! Anja is a Content Manager at <a href="http://alicorn.me">Alicorn</a>. Systematically approaching everything, from blog editorial to favorite sci-fi novel discussions. Passionate about her job, books, and dragons. Google Analytics enthusiast.